Walter B. Culpepper and Nevada M. Baxter on 17 Oct 1901. J. Lloyd Culpepper, 27 Oct 1902 - 23 Apr 1920. John B. Culpepper, Son, M, 33, S, GA/GA/GA. John B. Culpepper, Son, M, 13, S, GA/GA/GA. J. Floyd Culpepper, d. 23 Apr 1920 in Pierce Co., GA, 13038-B. Augusta L. Culpepper, Father, M, 76, Wid, GA/GA/GA, Not employed. CA Death Certificate 10368: removal accomplished 9 Jun 1952 for burial in Blackshear, GA. Usual residence in CA: 547 Vermont Street, Altadena, CA. Occupation: gardener, owns business. John B. Culpepper, d. 23 May 1964 at 57 years in Pierce Co., GA; Res. in Pierce Co., GA, 015572. James Culpepper and Millie Coogle on 17 Nov 1895 in Macon Co., GA.
Jessee F. Culpepper, Daughter, F, Oct 1898, 1, Sng, GA/GA/GA. James Brewton Culpepper, Cert 146464, Highlands Co., FL, White, 29 Sep 1901 - 17 Dec 1995. Homer G. Culpepper, Cert 15089, Highlands Co., FL, White, 31 Oct 1907 - 06 Feb 1983. 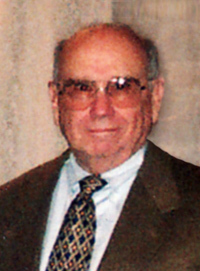 Homer G. Culpepper, son, M, 2, Sng, GA/GA/GA. ED 119, sheet 2, line 80. Biography* � Mrs. John (Dorothy Culpepper) Wingfield preserved a 25 page typed manuscript "ONE FAMILY - CULPEPPER" written by her grandfather, Rev. George Bright Culpepper, who noted: The next year a fourth son was born to Fayette and Jennie Culpepper on Pleasant Ridge in Macon County, Georgia. This boy grew to manhood and in 1887 moved with his parents to Pratt City, Alabama, where he worked in the railroad shops. From there he went to Pittsburgh and for many years I have lost track of him entirely. His name is Otis O'Daniel Culpepper. Virgo Culpepper, Son, M, Wh, 5, sng, AL/GA/GA. p 8 'Pratt City, Alabama' can't locate. Otis Culpepper, Boarder, M, Wh, Sep 1882, 17, sng, GA/GA/GA, Helper to Brick Layers. Volume 41, page 456, Jefferson County, AL marriage records. Infant Culpepper, infant of Otis O'Daniel Culpepper, died 13 Feb 1918 in Jefferson Co., Alabama. O. Culpepper, Roomer, M, 37, Sng, GA/GA/GA, Laborer in steel mill. Mabel was my husband's Great Aunt. Her mothers middle name is either Jean or Elizabeth. There is what looks like a J between her name on her marriage certificate to Thomas N. Her daughter in law:Eva Mae Meyer Killian told me her middle name was Eizabeth. As I have not been able to find Rhoda's grave stone I am not sure which is right. I know that she died around the early 1900's. Her second husband ,John R. Bookout was ,re married by 1908. I have a picture of Mabel with her two brothers:Thomas Henry Bennett Sr. and Marshall C.Killian Sr.
1. Mabel Killian b. Jul 1890, Morganville, Dade, Ga, m. 5 Jun 1907, in B'ham. Jefferson ,AL, Otis O.Culpepper. 2. Thomas Nathan Killian b. 14 May 1865, Dade Co. Ga, m. Sept.25, 1887, in Dade Co, Ga. Trenton, Rhoda Jane? Elizabeth? Bennett, b. Aug,1869, Dade Co, Ga., d. early 1900's. Thomas died 6 Oct 1895, Mortganville, Dade Co., buried: Sarah's Chapel Cem. 3. Rhoda Jane? Elizabeth? Bennett b. Aug,1869, Dade Co, Ga., m. (1) Sept.25, 1887, in Dade Co, Ga. Trenton, Thomas Nathan Killian, b. 14 May 1865, Dade Co. Ga, d. 6 Oct 1895, Mortganville, Dade Co., buried: Sarah's Chapel Cem., m. (2) John R.Bookout, b. Mar 1853, Cherokee/Jackson Al. Rhoda died early 1900's. 4. Joseph W. Killian b. 25 Oct 1818, NC, m. (1) Elizabeth unk, b. abt 1820, Ga., m. (2) abt 185?, Nancy Whitehead, b. 1833, d. about 1895. Joseph died 14 Nov 1874, Morganville,Dade Co Ga, buried: Sarah's Chapel Cem. 5. Nancy Whitehead b. 1833, d. about 1895. 6. Henry Killian Bennett b. 7 Oct 1810, Tn., m. (1) Mary Ann McDonough, b. 1825, m. (2) Martha Farmer. Henry died 30 Dec 1887, Trenton,Dade, Ga, buried: Sarah's Chapel Cem. 7. Mary Ann McDonough b. 1825. 8. William Thomas Killian b. 12 Jan 1787, Lincoln Co. NC, m. (1) abt 1815, in NC, Elizabeth Bost, b. 09 Sept 1793, Warren Co,TN, d. 04 Oct 1841, Dade Co GA., buried: Old Bapt Cem US 11 N. of Trenton Ga., m. (2) Orlenia Hale, b. 28 Mayb 1813, d. 25 Mar 1846, Dade Co. Ga, buried: Old Bapt. Cem. US 11 just N. of Trenton. William died 29 Dec 1845, Dade Co. Ga, buried: Old Bapt. Cem. US 11 N of Trenton. 9. Elizabeth Bost b. 09 Sept 1793, Warren Co,TN, d. 04 Oct 1841, Dade Co GA., buried: Old Bapt Cem US 11 N. of Trenton Ga.
12. Jesse Bennett b. abt 1766, NC /SC?, m. Sarah Killian, b. abt 1770, d. Catoosa, Ga, buried: Salem Bapt. Ch. (No evidence of grave). Jesse buried: near Dunlap, Sequatchie,Tn. 13. Sarah Killian b. abt 1770, d. Catoosa, Ga, buried: Salem Bapt. Ch. (No evidence of grave). 16. Samuel Cline Killian b. bet 1760/1765, Lincoln Co.NC, m. 1784, in Newton,Catawba Co.,NC, Barbara Hager, b. abt 1760, Lincoln,NC, d. 1813, Lincoln,NC, buried: St. Paul Lutherine Ch. Cem ?. Samuel died Jan 1808/1813, Lincoln Co. NC, buried: St. Paul's Luth. Ch Cem. 17. Barbara Hager b. abt 1760, Lincoln,NC, d. 1813, Lincoln,NC, buried: St. Paul Lutherine Ch. Cem ?. 18. John Bost b. Warren Co, Tn, m. Alice unk. 32. Andreas Killian b. 1702, Germany, m. (1) unk, b. Ga., m. (2) Mary Cline, b. abt 1705, Germany. Andreas died 1788, Lincoln Co. NC. E-mail written 2003 to Lew Griffin from Dianne L. Killian, e-mail address. Virgil Culpepper, Brother-in-law, M, Wh, 14, sng, GA/GA/GA. Virgil Culpepper, Brother-in-law, M, Wh, 25, sng, AL/GA/KY, Clergyman/Methodist. After about two years Fayette went to Wilmore, Kentucky, and married a Miss Miller [this was apparently based on Virgil Miller Culpepper's middle name but in a 26 Aug 1978 letter, Rev. Virgil M. Culpepper specified "My Father was A. L. Culpepper - Taylor County, Ga., my Mother Rebecca Williams - Wilmore, Ky.]. They came back to Pratt City where a son, Virgil Miller Culpepper, was born. He became a Methodist preacher and is now (September 28, 1942) stationed at Taft, Texas. He married Miss Carolyn Brooks over in Macon County, Georgia. They have two boys - the oldest, Stewart, and the youngest, George. Virgil's wife is a half-niece of Virgil's father's first wife. Virgil's wife's father was a half-brother of Jennie, Virgil's father's first wife; but Virgil's mother was the second wife of Fayette and her son married the daughter of his step-mother's half-brother. If you can, you may figure out the fam-mix-up. Mrs. M. R. (Patricia Williams) Ortega wrote, 3 Mar 1991, that "Virgil went to the Birmingham Southern Seminary." Rev. Virgil M. Culpepper wrote, 26 Aug 1978, that he "was in the Evangelistic work for ten years and the Pastorate for 39 years. Have been retired 9 years." CULPEPPER, Virgil Miller, minister; b. Birmingham, Ala., Sept, 6, 1904; s. Augustus Lafayette and Rebecca (Willlams) C; student Birmingham-So. Coll., Emory U. Conf. Course of Study; m. Carolyn Brooks, Aug. 4, 1931; children Stuart, George, Rebecca. Pastor, 1st Meth. Ch., Cuthbert, Ga. Mem. Conf. Bd. Edn., Bd. Minstl. Tng., dist. bd. Evangelism. Trustee Andrew Coll. Mason, Rotarian, Kiwanian. Home: 418 W. Church St. Office: 1st Meth. Ch., Cuthbert, Ga.
Rebecca Anteonette Culpepper, Female, born __ 1943 in San Saba Co., Texas, child of Virgil Miller Culpepper and Carolyn Elizabeth Brooks. Carolyn Brooks Culpepper obituary, The Baton Rouge Sunday Advocate, January 13, 1991, Page: 16-A. Obituary* 14 Jan 2009� George Virgil Culpepper, a retired professional engineer, died Sunday, Jan. 11, 2009. Memorial service: 3 p.m. Friday at St. Andrew Episcopal Church. The Rev. Christopher P. Culpepper will officiate, assisted by the Rev. Davidson Morse. Memorials: The University of Texas M.D. Anderson Cancer Center, 1515 Holcombe Blvd., Houston, Texas 77030; or Christ the Redeemer Anglican Church, care of the Episcopal Diocese of Fort Worth, 2900 Alemeda Rd., Fort Worth, Texas 76108. Virgil M. Culpepper letter 26 Aug 1978. Obituary of George Virgil Culpepper (#34331), published 14 Jan 2009. Biography* � Mrs. John (Dorothy Culpepper) Wingfield preserved a 25 page typed manuscript "ONE FAMILY - CULPEPPER" written by her grandfather, Rev. 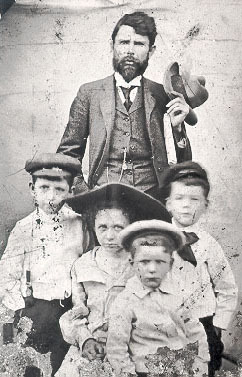 George Bright Culpepper, which noted: On January 15, 1895, there was born to us in Brunswick, Georgia, in what we designated as the Grier House, our first- born, as winsome a child as I have ever known. Her eyes were blue, her skin was fair, and her hair was golden. She is living now in Fort Valley, Georgia. She married a man named Chester Wilson. They have one child, a lovely daughter who is nearly 22 years old, wonderfully sweet and pretty. We named our daughter Marion, after my father. She named her daughter Frances Marion. My daughter, at this time is organist for the Methodist Church in Fort Valley, and delights in her work. Chester Wilson, my son- in-law, is in the insurance business. The status of my daughter's family is, as of today, October 5, 1942, as above. Marion Culpepper and Z. Chester Wilson, 27 Oct 1913, Houston Co., GA.
p 15 living in Fort Valley, GA as of 5 Oct 1942. Caughey B. Culpepper and Sarah Vesta Willingham, W, (Date?) Fulton Co., GA, Book 27-71. Jane Carr, Roomer, F, 73, wid, GA/GA/GA, Milliner in Dry Goods Store. Vesta W. Culpepper, d. 3 Apr 1966 at 70 years in Fulton Co., GA; Res. in Fulton Co., GA, 009362. Caughey B. Culpepper, d. 12 Jul 1973 at 75 years in Fulton Co., GA; Res. in Fulton Co., GA, 024148. This brings me to December 1899 and to the birth of my second son, on December 4, 1899. To this son we gave the name of George Bacon, for his father and Miss Mary Bacon, one of the teachers at Georgia State College for Women, located at Milledgeville. He grew to manhood and during the first World War worked for the Government in the War Department. George B. Culpepper, Jr., is a lawyer in Fort Valley, Georgia, and has the largest clientele of any lawyer in the town or county; I would say in the counties of Peach, Houston, Crawford and Macon. He is a Mason, a steward in the Methodist Church, a Major in 4th Corps Area - a splendid man and a good lawyer. He has had pneumonia four times, the first attack being when he was three months old. At one time, the doctor said that he was dead; but God spared him. Again when he was 14 he had pneumonia. In 1918 he had flu and pneumonia in Atlanta. Again in 1919 he had an operation for the removal of his appendix followed by pneumonia. For 18 years he has suffered from neuralgia of the heart - called by some doctors pseudo-angina. He has bronchitis several times. His energy and a good wife and the Good Lord have kept him going until this day (Oct. 6, 1942). He is retained by the Central of Georgia Railroad for that district.... In the fall of that year  we moved to the house on the corner of College Street and Everett Square, now owned and occupied by Henry M. Branham. We lived there but a few months but long enough for Marion and Caughey and George to have scarlet fever. On December 18, 1901, we moved across that Square to what was known as the Henry Harris House - still on the corner of College Street and Everett Square. The following excerpt is from p. 228 of the History of Peach County: George Bacon Culpepper studied law in the office of his uncle, Charles Leighton Shepard, stood the State Bar Examination and later was admitted to practice before the Supreme Court of the United States. He was an attorney in Fort Valley for over fifty years. The following is from Mrs. F. D. (Lee Collins) Hale from an unknown source: Lawyer, admitted to Georgia Bar in 1923. Was chief of Selective Service System in Georgia from 1918 to 1919. Was in insurance business in Fort Valley GA., 1920-1922. Was a member, and vice chariman, board of trustees, and chairman, investment co., Employees Retirement System of GA., 1949-1963. Was a member of the governor's staff, 1948-1963. Was an Honorary Vice President, American Sunday School Union, 1958--. Was a member of the American Bar Association; American Judicature Society; National Railroad Trial Counsel Assn. Was a Methodist, Mason, and Kiwanian. George B. Culpepper was also listed in "Who's Who in the South and Southwest" in 1973: "Lawyer: b. Fort Valley. GA, 4 Dec 1899: s. George B.and Lillian (Shepard) Culpepper: student pub. schs; m. Mary Elizabeth Adams, 24 Apr 1919; children-George B. III, Mary Lillian (Mrs. Robert Lawson Harris). Admitted to GA bar. 1923: chief Selective System. GA. 1918-19: ins. bus.. Ft. Valley, GA, 1920-22; mem., Vice chmn. bd. trustees and chmn. investment com. Employees Retirement System of GA, 1949-63. Mem. Govs. staff, 1948-63. Hon. v. p. Am. Sunday Sch. Union. 1958-. Mem. GA Gov. 's Staff. 1971-. Mem. Am. Bar Assn., Am. Judicature Soc., Nat. Railroad Trial Counsel Assn. Methodist. Mason. Kiwanian. Home: 401 Forrest Dr Ft Valley GA 31030 Office: 206 Central Av Ft Valley GA 31030"
Mrs. Eleanor (Culpepper) Willingham sent the following from p. 3 of the "Hogansville Herald" for 1 Feb 1996: "Union Baptist" By Robert L. Harris, Pastor The late George B. Culpepper, Jr. of Fort Valley, Georgia was considered by many to be the best trial lawyer in the state. He was also a widely respected Sunday School teacher. For many years his lessons to the adult class in the Methodist Church could be heard every Sunday morning over WFPM. He frequently used Biblical truths or stories in the courtroom. This proved bothersome to one well know prosecutor from Macon who was often Mr. Culpepper's opponent in court. Once the prosecutor made the mistake of ridiculing Mr. Culpepper's use of the Bible in the defense of his clients. This prosecutor, in his first statement to one jury, warned them as follows: "Mr. Culpepper" he said, "Is probably going to quote lo you something out of the Bible, but I can tell you now that the Bible doesn't have anything to do with this case." Mr. Culpepper's opening words to the jury have never been forgotten by anyone who heard them. They are still often quoted in legal and civic circles in this state and beyond. "lt is strange," he replied, "that our learned prosecutor should take exception to my use of the Bible in this court room. He says the Bible has nothing to do with this cause. But you well know that every witness in this case will be asked to put his hand on the Bible and swear to tell the truth, the whole truth and nothing but the truth. Furthermore, the very laws by which we decide cases in every court in this country can be traced back to the 10 commandments in this Bible. If ever the time comes when the Bible has nothing to do with any case in this court, we are in deep trouble." Well, we still use the Bible to swear in witnesses, but we've taken the 10 commandments off the walls of our court houses and our schools, and we are in deep trouble in this country. The following is from The Butler Herald, Thursday, March 13, 1919. Vol. XXXXIII, No. 18. A Fort Valley boy's record is always gratifying to our people when it is won by conscientious effort. We take pleasure therefore, in saying a few things about Geo B. Culpepper, Jr., who for the past fifteen months has been connected with the State Military Department in Atlanta. By order of Provost Marshal General Crowder, and by direction of Governor Dorsey, George B. Culpepper, Jr., was appointed Inspector, for the purpose of assisting in the supervision of the final work of the Selective Draft Board in the State of Georgia. This appointment of Inspector is a testimonial of high order to the ability and efficiency of this young man, inasmuch as this work is committed to the hands of skilled lawyers and efficiency experts. Mr. Culpepper has received generous recognition at the hands of authorities over him and the several promotions he has received are evidence of his ability and satisfactory service. On December 10, 1917, he was appointed Chief Clerk to Major W.C. Lyle, Medical Aide to Governor Dorsey. On May 18, 1918, he was made Private Secretary to Major Joel B. Mallet, Officer in Charge of the Selective Service Law in the State of Georgia. On July 1st, 1918, he was made Head of Mobilization Department in Georgia, and while occupying this position he had direct supervision of the mobilization of thirty-five thousand soldiers. On December 1st, 1918, he was appointed Chief Clerk of entire State Military Department as successor to Maj. Jno. T. Dorsey. George Bacon Culpepper and Mary Elizabeth Adams, 24 Apr 1919, Houston Co., GA.
Frances B. Culpepper, Wife, F, 23, md@23, VA/VA/VA. Thomas J. Culpepper, Lodger, M, 25, Sng, GA/GA/GA, Claim Agent/RR. Thomas Culpepper, Male, White, Married, born 1903-1904, died 26 Dec 1971 in Greensboro, Guilford Co., NC. Ola St Clair Lewis Culpepper, Female, White, Widowed, born 1 Dec 1902 in GA, died 31 Oct 1991 in Greensboro, Guilford Co., NC, SSN: 240-66-0206. Dorothy Culpepper, Granddaughter, F, W, 2/12, S, GA, GA, GA.
p 23 'at the home Mr. and Mrs. J. L. Long, the wife's parents' [has birth year as 1932]. Alice E. Culpepper, d. 10 Oct 1993 at 86 years in Peach Co., GA; Res. in Peach Co., GA. Biography* � Mrs. John (Dorothy Culpepper) Wingfield preserved a 25 page typed manuscript "ONE FAMILY - CULPEPPER" written by her grandfather, Rev. George Bright Culpepper, which noted: Now comes a gloomy day. In June 1906 a beautiful little girl was born to Reverend and Mrs. George B. Culpepper, Sr., and to her was given the name of Lucy Brown, for her grandmother Culpepper and for the doctor who attended her mother. Through an unavoidable circumstance, a change in the baby's diet, she was attacked by dysentery and when she was two months and 22 days old she was taken away from us into the heavenly home. She is buried in Fort Valley, Georgia. Birthdate based on her death of 25 Jun 1906, as reported in the newspaper, and her age at death (2 months, 26 days) as recorded on her tombstone. Lillian Brown Culpepper, daughter of Rev. George B. Culpepper died at Fort Valley on June 25th. Lucy Brown Culpepper, Infant Daughter of Rev. G. B. & Mrs. L. M. Culpepper, Age 2 months & 26 days (No dates).